1- After discussing with a customer, I temporarily converted my 55FL F3.6 astrograph set to the visual configuration. We are curious how Takahashi 32mm Orthoscopic eyepiece performs with BORG 55FL. Fortunately, simply I removed the reducer unit and added 2″ compression ring, then I could reach focus with 2″ diagonal. That’s much easier than I thought. 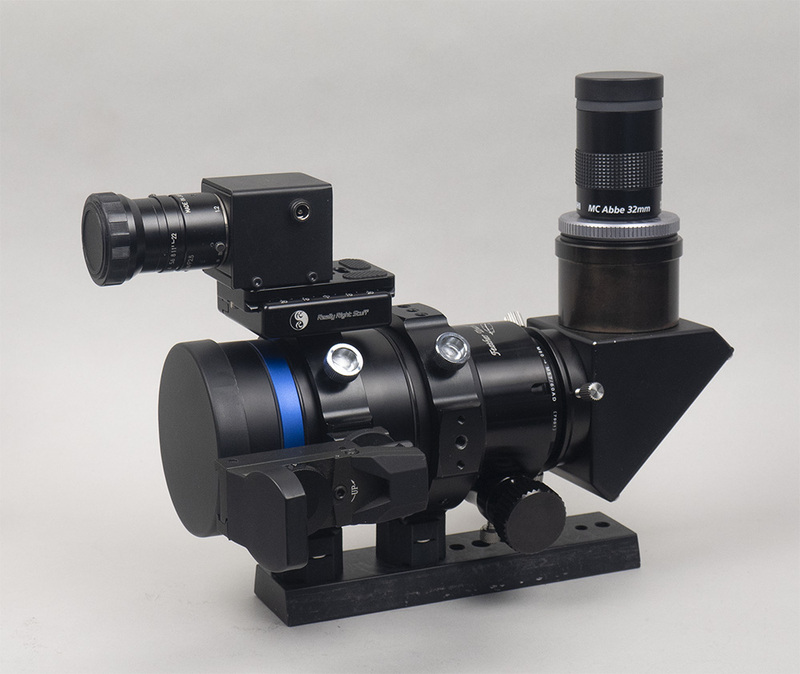 I realized this was the excellent double-duty scope for fluorite-quality wide-field imaging as well as observing. In daytime test, it looks good. At least no vignetting. Unfortunately still raining here. Star test should be tomorrow night. 2- This is the special offer for brand-new FTF-M57. Regular price is $520.00. The great opportunity for current BORG owners to upgrade your helical focusers to the silky-smooth Feather Touch crayford focuser. Limited quantities only. ~ by tedishikawa on February 5, 2019.